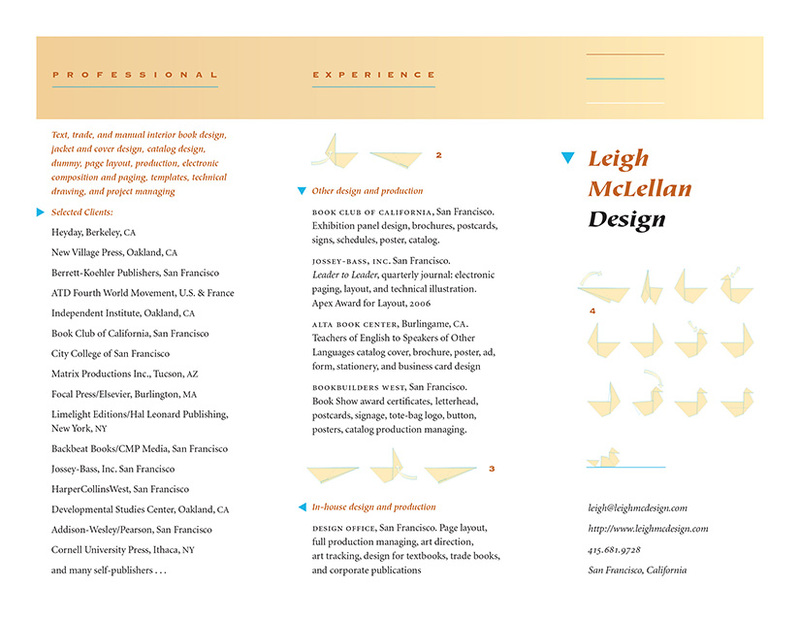 Leigh McLellan is a consummate design and production professional. Her broad knowledge and experience in the book-making world have contributed to her wonderful eye and composition sense. 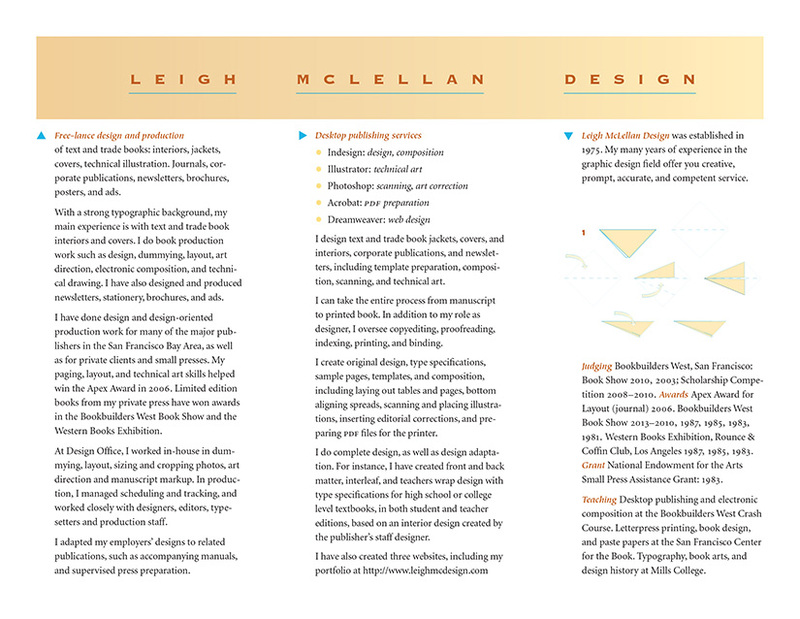 You can't miss working with Leigh. —Mary Hazelwood, production editor, formerly of Jossey-Bass, Inc.